Cincinnati United Soccer Club and German club Borussia Dortmund have a partnership through Puma to support programming and development. This partnership does not cost the club and is only available to players at Cincinnati United Soccer Club/CUP. 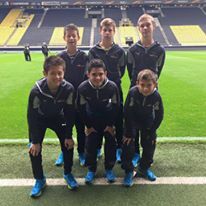 Check out the video from a recent CUP trip to BVB.